Home / Chemotherapy / Symptoms / Third times a charm! Episode XXI: "But man is not made for defeat..."
Prior to my 3rd chemo treatment, I had to get prepared. 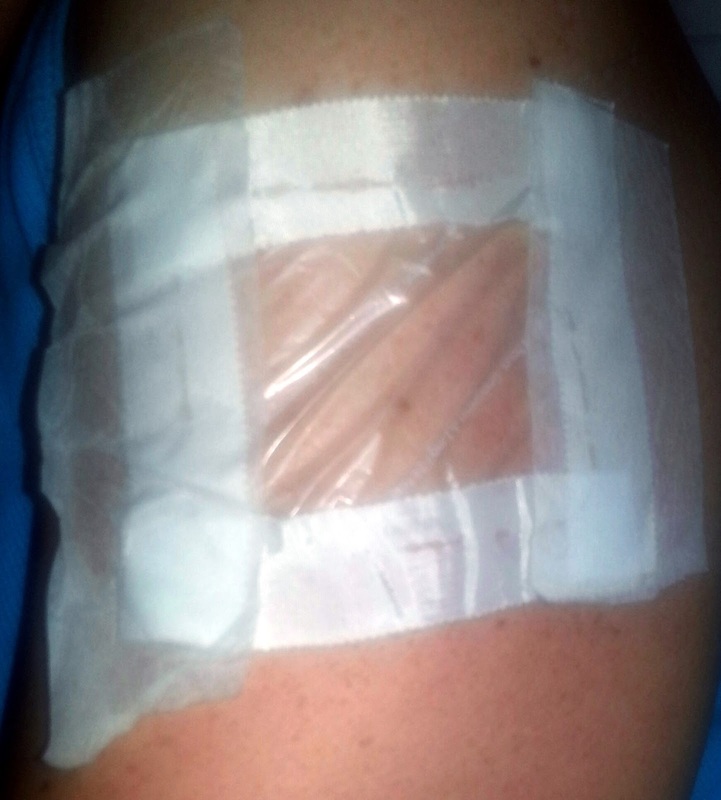 The night before I placed on my anti-nausea patch on my left arm (alternating arms each treatment). Once I got up in the morning the edges were already loose so I had to tape down the edges. My arm will look like some crazed medical dilemma this week. 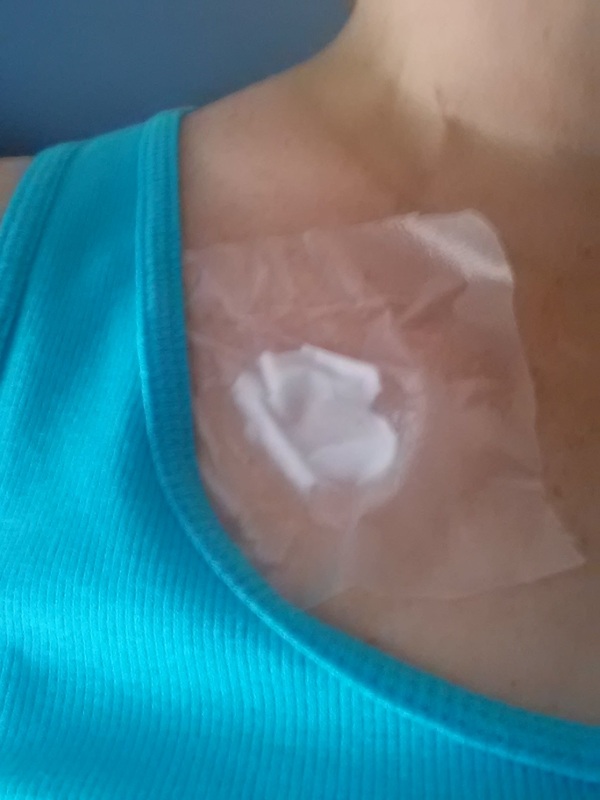 So, about an hour before leaving I put on my numbing medicine so that when the needle was placed into the port it would be mildly less painful. Mildly. However I did learn the hard way, use ample medicine and press-n-seal Saran wrap made into a tiny bubble so not to press the medicine flat. The flatter the numbing medicine, the less effective it would be. I found that going for my 3rd treatment a little more daunting than the rest. I knew what I was getting into and I really didn't want to do it. There was knowledge which helped in preparing, but it also meant that I knew I didn't want the side effects I was about to endure. However, I turned up my car radio and really rocked out to some classic 80s music. Nothing like a musical distraction to avoid the idea of chemotherapy. So the hubby and I had to meet multiple people prior to treatment. I got registered and jabbed with my port needle before we waited to be seen. And jabbed was the correct word!! Our first meeting was with the nurse practitioner to just discuss my side effects and to make sure my blood work was good. Overall I was pretty good, so the conversation was pretty brief. Basically take your medicines and here are some new ones. Then the Genetic Counselor arrived and we got to discuss the general concept of genetics, cancer, and testing. Most breast cancers are spontaneous, but 5-10% can be inherited. Essential two specific genes called BRCA1 and BRCA2 play an important role in some breast and ovarian cancers and can be tested to determine whether or not a mutation was found in me. If these genes do not work properly cancer can develop. I was fortunate in some ways as my young age allowed for my insurance to cover the cost of testing. Click Here to learn more about Genetics & Breast Cancer. After scheduling my next appointment, I kicked my husband off to work and headed back for treatment. I think I said something like, "Get out of here and pay for my cancer." Of course, in a lovingly manner. Make that money - cause Cancer wasn't cheap! 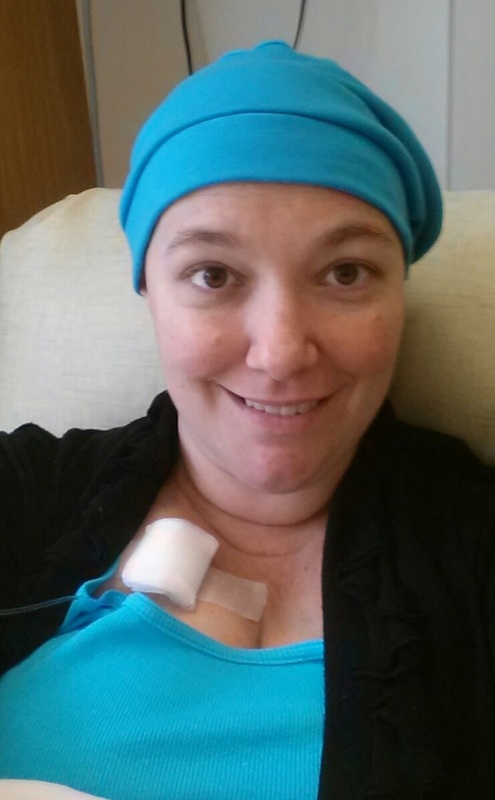 I got into my seat and started my 3 hour chemo treatment. I really just sat back and tried to read a little and talk to some of the interesting people around me. I was amazed that most of them were able to eat, as there was no way that I could manage Mexican, Asian, or general food during treatment. Guess that was some of the benefits of other types of chemo. Instead, I forced a tiny pretzel into my mouth so that I would have something in my stomach to help prevent the nausea that was already in my stomach. After treatment I had to wait around for a prescription, which gave my stomach more time to feel worse. Between the long appointment time and general summer class schedule for my kids, my mom was actually near the Cancer Center when I was waiting. She arrived to wait on the pain medicine while I headed back home. I was glad that I was still mobile enough to make it home without an issue. However, even though I left first I saw my mom pass me on the way home. Just like most things, I am moving and driving slowly... everything I did was S..L..O..W..
Blah! Even though I didn't hurl, I did feel pretty rough. 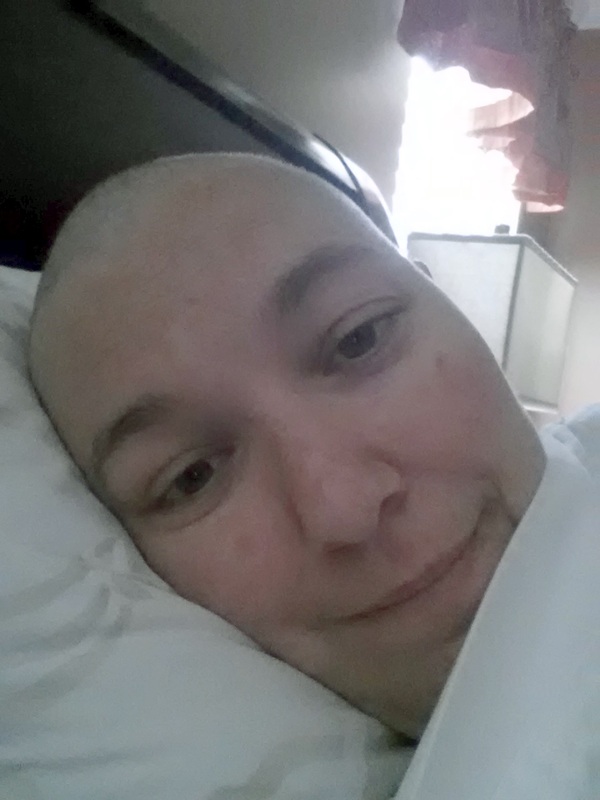 I was unable to sleep due to the overall illness and crappy feelings associated with the chemo. Plus, the steroids love to keep me up, as well as hungry... which leads to nausea... which leads to lack of sleep. A giant icky circle... my Catch-22. Episode Reference: "But man is not made for defeat," he said.